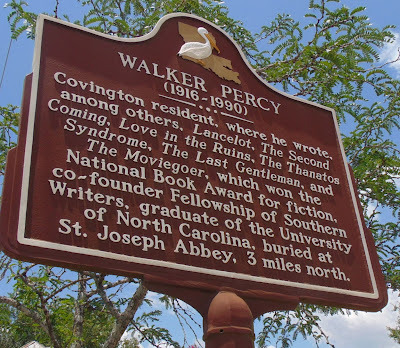 Back in June of 1975 I interviewed Dr. Walker Percy, a Covington resident well-known for his nationally-acclaimed novels. His new non-fiction book "The Message In The Bottle" had just been published, and we talked about it at length. 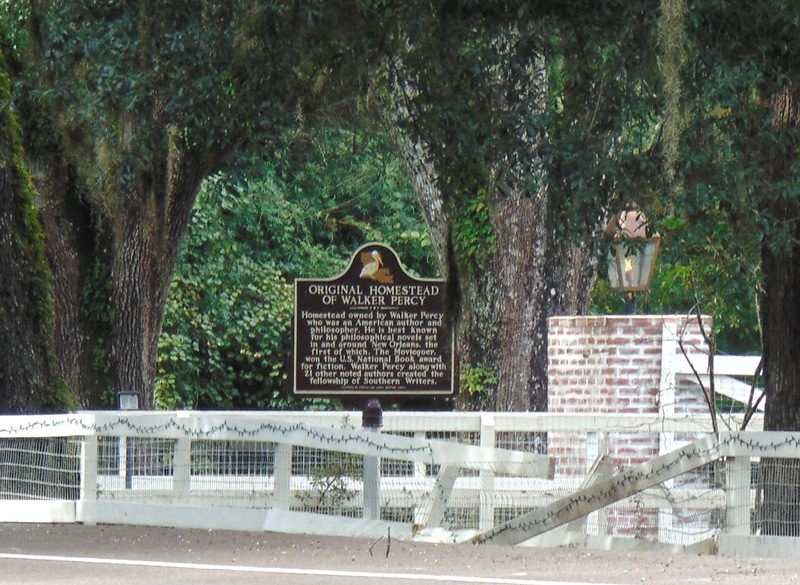 Of particular interest was his belief that the nation would be much better off if everyone could just use a little old-fashioned Southern hospitality to get along with each other. at the St. Tammany Art Association in Covington. 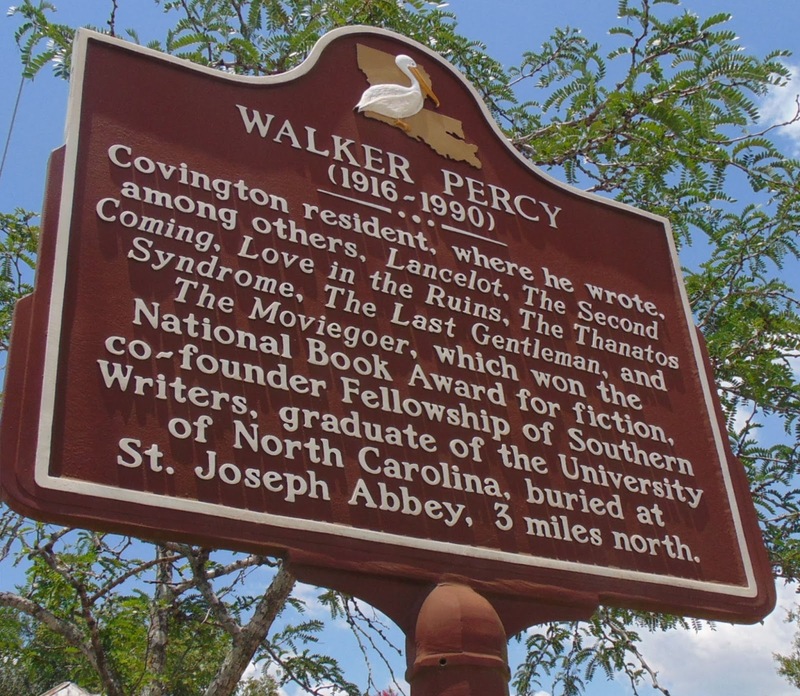 Dr. Walker Percy, a Covington resident, is a nationally known author and has received many commendations for his work.In an interview last week, Dr. Percy said that he thinks that Southern hospitality may be the solution to the whole breakdown of American society. The "tradition of civility" evident in the old South has let the South "off the hook," he commented, especially since the North has experienced civil turmoil itself recently. 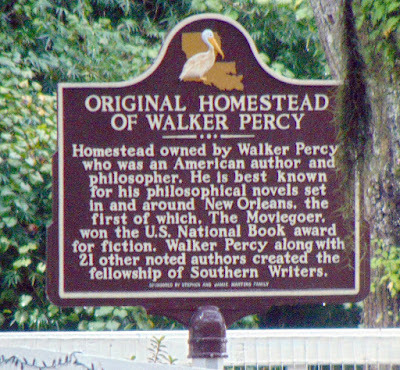 Dr. Percy lives in Covington and has been writing novels for 15 years, novels that point out the tremendous gap between the affluent and the poor and the resulting polarization between the two. His last novel, "Love In The Ruins," made both liberals and conservatives mad, he said, but this didn't bother him. That book was about people who think they have it all figured out, he explained. But the basic problem is not that easy to figure out, and being hospitable to one another may be one solution. Hospitality has nothing to do with conservatism or liberalism, he said. His first concern with the South was that of segregation. "It was obvious that segregation was wrong, and I wanted to point that out. But at the same time, the South had a good thing going in the way Blacks and Whites work together, and I wanted to point that out, too," he said. He feels that the vocation of the novelist is to understand all points of view, so while many people consider him a liberal, he retains many aspects of a conservative. "By nature, I'm a satirist and 'Love In The Ruins' was a satire, one that pointed out that conservatives and liberals have a lot of common ground to work from," Percy explained. In "Love In The Ruins" he wanted to say two things: one, that the country was falling apart, a warning of sorts, and two, the solution was a return to hospitality. When asked if he was a pessimist or optimist, he at first did not want to commit himself to either, but finally said, "I guess I'm an optimist by nature." The South has the same mission now that the North had over 100 years ago, and that is to retain and promote the virtues that keep people working together for the good of society, he said. "Love In The Ruins" began with a man holding a rifle outside an interstate motel following a severe breakdown in society, complete with guerilla bands, shooting, looting and the like. He told a story of what could happen if society did not find itself in time, Percy stated. The motel in the book was a Howard Johnson's, and a sniper was watching the place. Thus, when (in real life) a sniper in New Orleans began shooting people from the downtown Howard Johnson's two years ago (1973), Dr. Percy got a phone call from an Associated Press reporter who wanted to know what he thought about it. Percy worried for a time whether the sniper, later killed by police, had read his book and gotten the idea from it. He learned later that at the sniper's apartment, police found all kinds of revolutionary literature but no copies of "Love In The Ruins." That made him feel a bit better. "Ruins" is not science fiction, Dr. Percy commented, although it does take place in the 1980's. Actually, it's a treatise on the personality traits of liberals and conservative, and how, in some cases, they are adversely affected by the more extreme traits. Why did he write the book? "Well, someday society will find out what it is doing to itself, and it's up to the artists, writers and novelists to bring that about," he stated. Percy's newest book is a collection of essays he has written that deal with the problem in a direct, analytical way. The title is "The Message In The Bottle," and it features several essays that he wrote some time ago for various psychiatric magazines, combined with essays that put the whole situation into perspective. One essay, "The Delta Factor," tells what would happen if a man from Mars came to the planet Earth. Although the visitor would have already read textbooks describing our science, way of life, and other human traits, Percy feels he would be utterly astounded by the way human language worked. It is language that makes human beings superior to animals, Percy says, and this magical gift is not truly appreciated by today's run-of-the-mill scientist. "No college really teaches what language is," he noted. "Certainly they teach how many different languages there are, the structural parts of a language, the development of language, but none of them really teach the basic nature of language." He went on to explain that man is a "language creature." It distinguishes him from animals for it is a way of understanding. However, it is also a way of misunderstanding. It is a way to reveal and discover, but it is also a way to conceal and cover up. "This was new to me when I realized it," he stated. "But language truly aids in man's relationship to God." Percy came to that conclusion after reading books by numerous authors of philosophy. He started out in life with a career in medicine, but illness forced him to give this up. While he was convalescing, he put his time to good use by reading the novels of European writers. 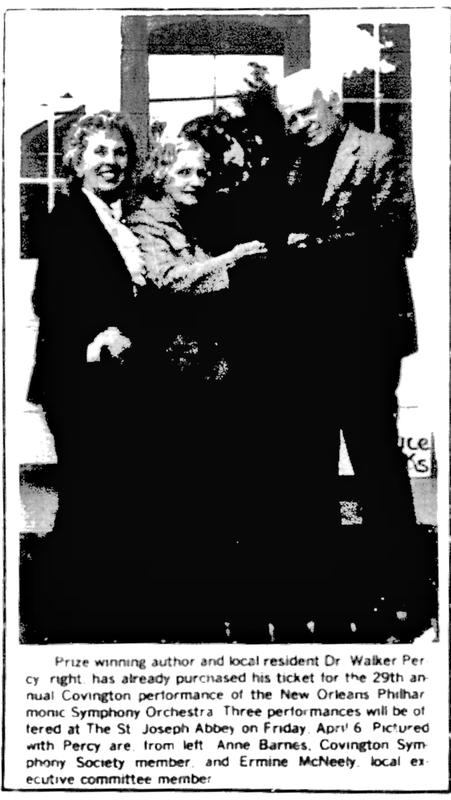 "Those novelists were more concerned with philosophic content than just a story," he said. "They made me interested in language more than ever, and with my scientific background, I found an outlet for my first essays." 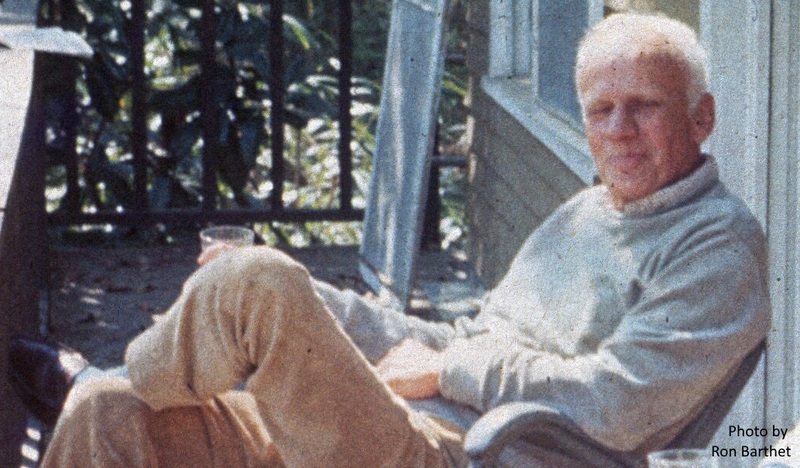 After his magazine articles came his novels "The Moviegoer" and "The Last Gentlemen." Both were well received by both the critics and the public. "Love In The Ruins" was especially popular. The Goal of "The Message In The Bottle"
"Message In The Bottle" attempts to put it all together. According to Percy, the main thrust of "Message" is this: All other books have shown how man is similar to animals. "Message" strives to show how man is different from them. This idea is of extreme importance, Percy feels, if society is to retain civilization. Percy illustrated his point about language by quoting three paragraphs from the story of the life of Helen Keller. She was born blind and deaf, unable to communicate, unable to discover her facility for language. Her teacher, Mrs. Sullivan, through exhaustive efforts, was able to make her respond to words spelled out in her hand. But linking words spelled into her hand with objects is not the magic of human language, Percy pointed out. Chimpanzees have been taught to associate words with certain objects with very little trouble. The magic of human language came to Helen Keller when she realized that words were not representatives of objects,but merely "names" for the objects. Percy explains in his book how the process of naming, the process of learning names, and the resulting process of inter-relating names is what makes human language so unique. Each child goes through a "naming phase," Percy said, during which time he asks all kinds of questions about what everything is named. The realization that names are merely words and are given to objects for the sake of convenience is a human trait unique to all others. It is this trait that human beings are able to expand on, develop and thus create new ideas, new ideas that offer new solutions to old problems. "That was a big breakthough for Helen Keller," he said, "and it is a big breakthrough for every human being." He cautioned scientists not to underestimate the process of naming. "Consciousness is naming, names are the secret of awareness. They are a source of tremendous happiness," he stated. Unfortunately names can also be used to conceal, he said, warning that language used in this manner can lead to misunderstanding. It is really an amazing thing, Percy said about language and the process of naming. It continually delights children to learn the names of things. He associated this delight with the joy of education, although he regretted that the "education" that some colleges teach today does not capitalize on this delight. "Education should be a discovering process, a way to see things, fresh, and learn new names. Great instructors are the ones that turn you on to learning, to use a phrase popular with the kids today," he replied. Percy is saddened by the approach used by psychiatrists and doctors, each taking language out of perspective and defining it in special terms all of their own. Few people truly understand human language as the unique gift it really is, he commented. He wishes that more effort was put into showing how man is different from animals instead of how man is similar to animals. He quoted a statement from Charles Darwin who said that while man was in many aspects like animals, he was in many aspects far different from any animal. "The Message In The Bottle" hopes to get this across, according to Percy, but if any reader finds himself not fully grasping a particular sentence, he recommends that they read it again carefully. What he has to say has never been said before, he believes, so its meaning is new and hopefully significant. With the advent of television and relevant motion pictures, Percy thinks that books may be in for a hard time, considering their high costs and the time it takes to thoroughly read one and enjoy it. "Films will never be able to replace books on ideas," he said, however. Percy was graduated from the University of North Carolina and received a doctor of medicine degree from Columbia University in New York. He feels that it is his Southern background and Northern education that qualifies him to see what is right and wrong with both ways of life. Below is the historical marker that greets motorists as they drive into Covington over the Bogue Falaya Bridge, not far from the location of Percy's office on Lee Lane. Four miles out La. Hwy. 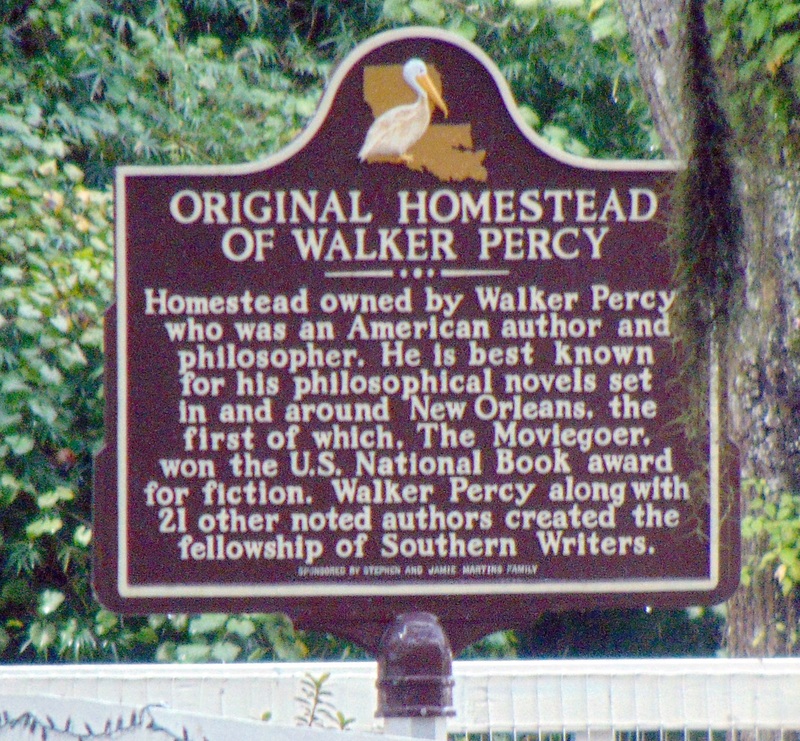 21 from Lee Lane is another historical marker about Walker Percy.